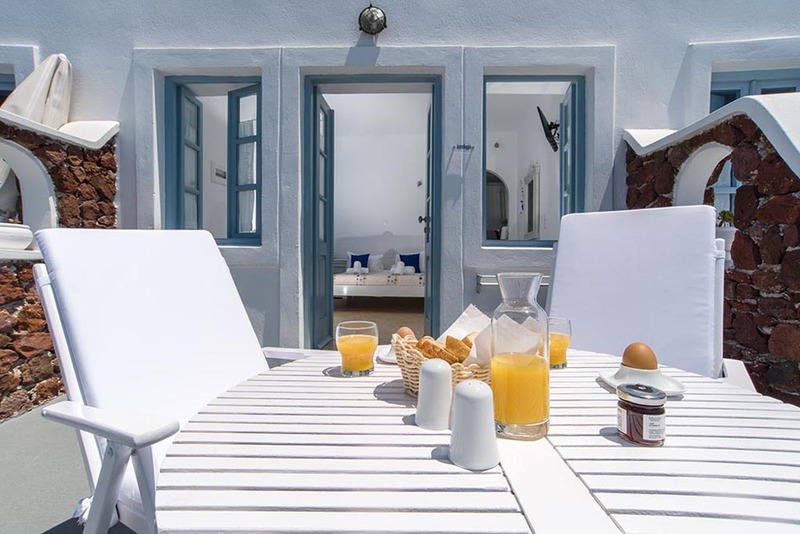 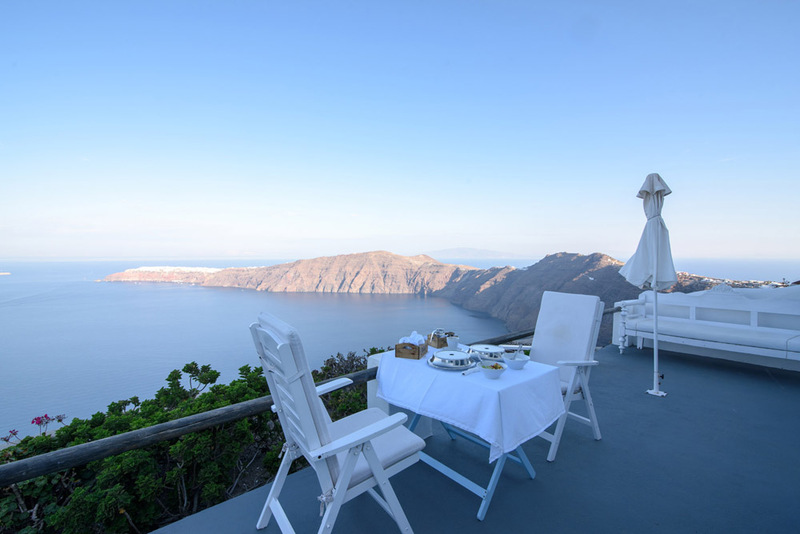 Ilioperato hotel can be found on the edge of the Cliffside, 350 meters above sea level, in the quiet village Imerovigli and just one and a half kilometers from Fira, the capital of the island, with it is busy center and night life. 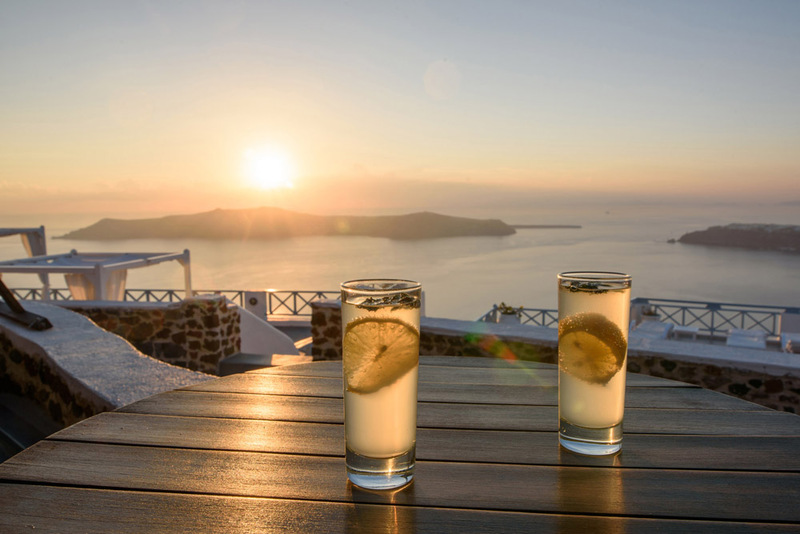 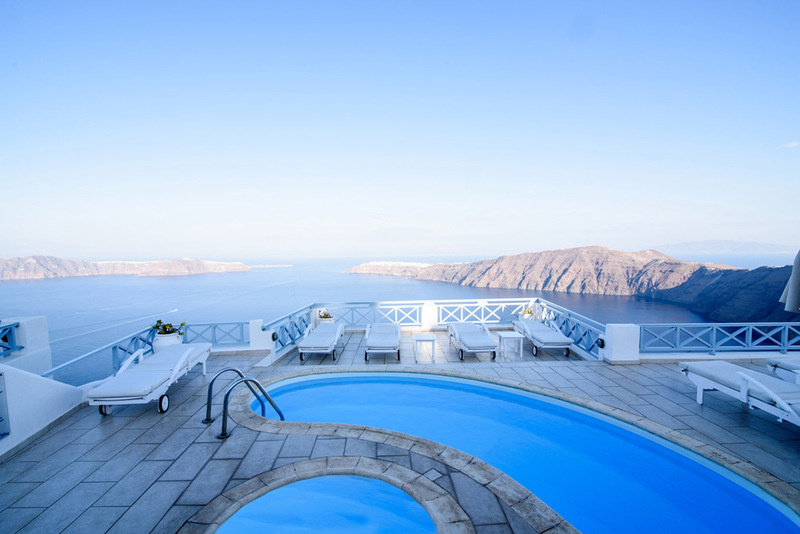 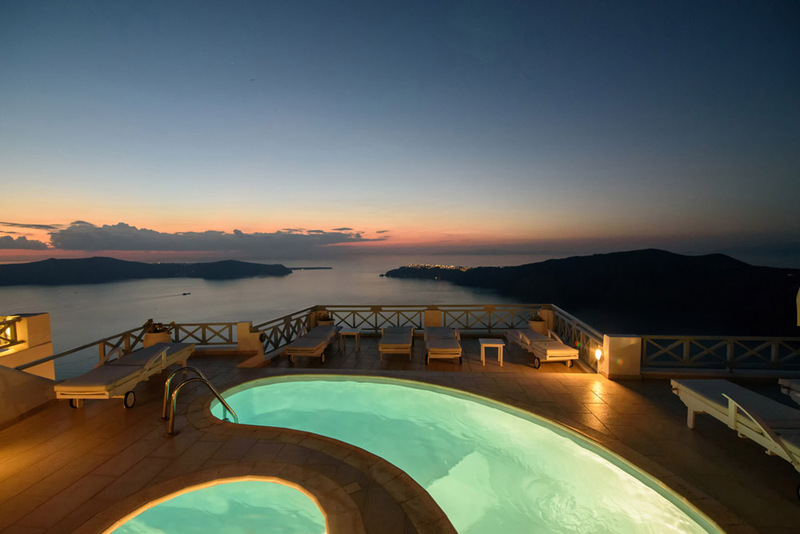 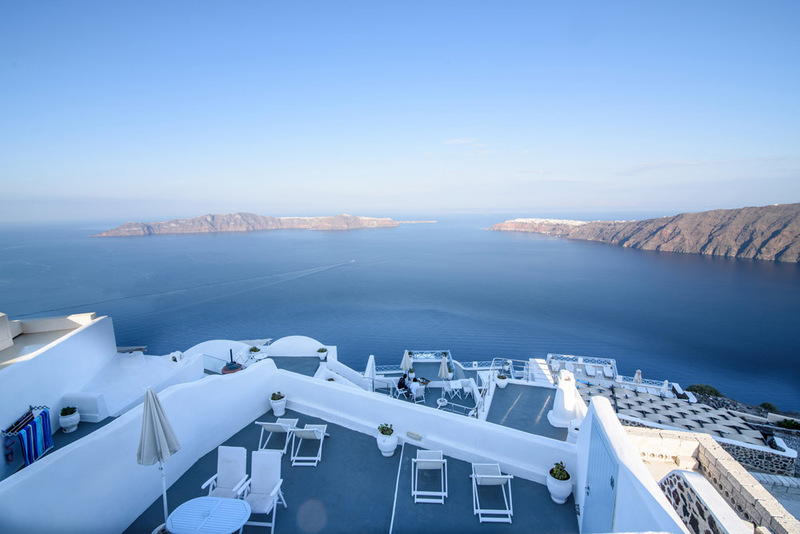 The hotel overlooks the Caldera of Santorini, with wonderful views of the islands and the unique sunsets. 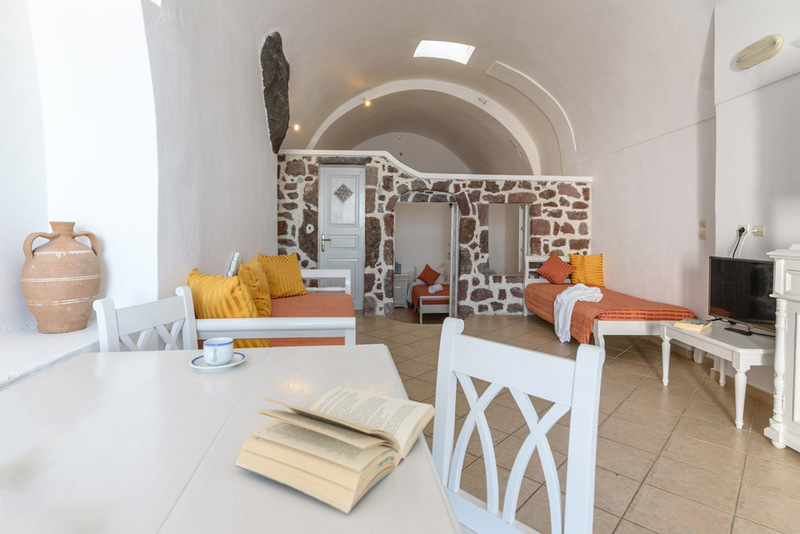 Ilioperato hotel has been built with respect to the traditional architecture of the island, with the older traditional style of our forefathers, creating an atmosphere of times past, but with all the modern facilities reminding us that we are in modern times. 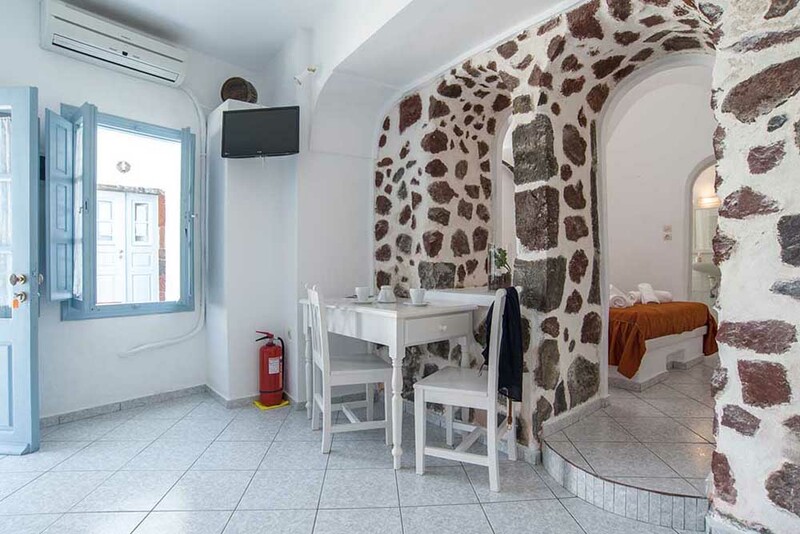 The apartments, are for 2 to 4 persons, each with a bathroom, kitchen (with fridge and basic cooking utensils for breakfast and snacks), a satellite television, telephone, music, safe and a daily cleaning service. 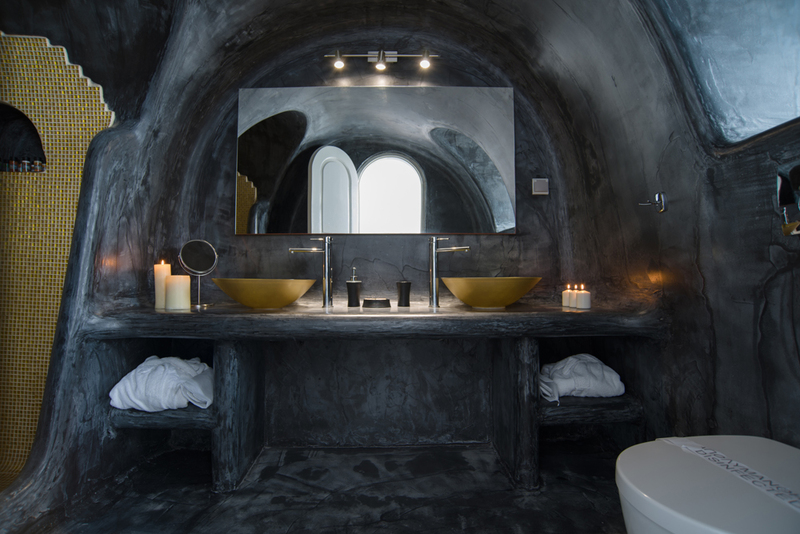 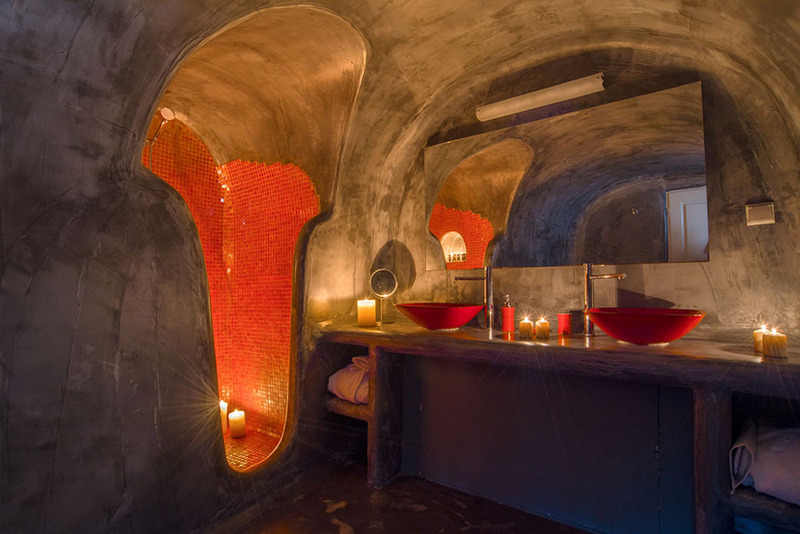 Some of the rooms have been carved into the rock side, and have a natural cool temperature. 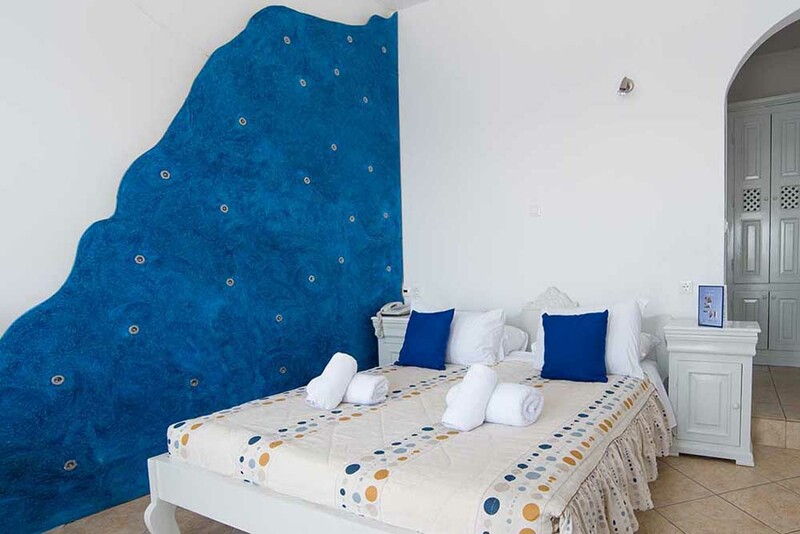 Some of the rooms have been carved into the rock side, and have a natural cool temperature. 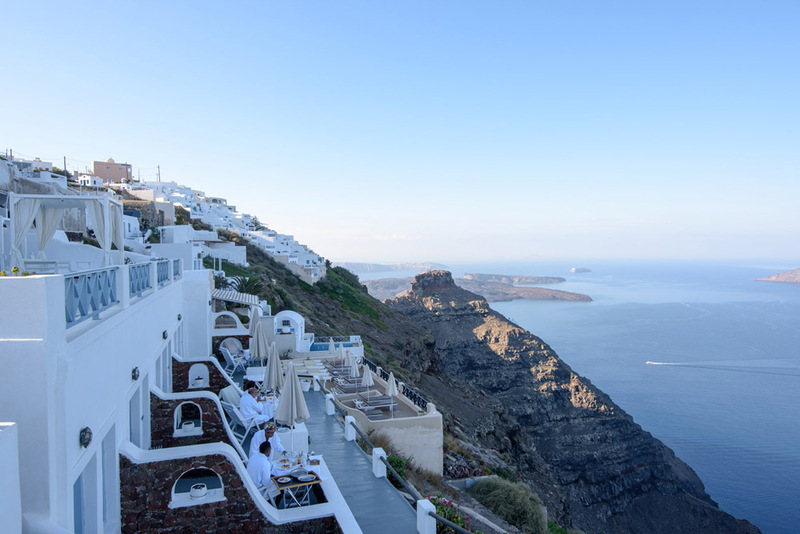 Through the small windows, with their delicately hand made curtains one can nature watch, enjoying the views of other parts of the island and Thirassia, the boats passing by and the ever-changing colors of the sunset, all with a musical background. 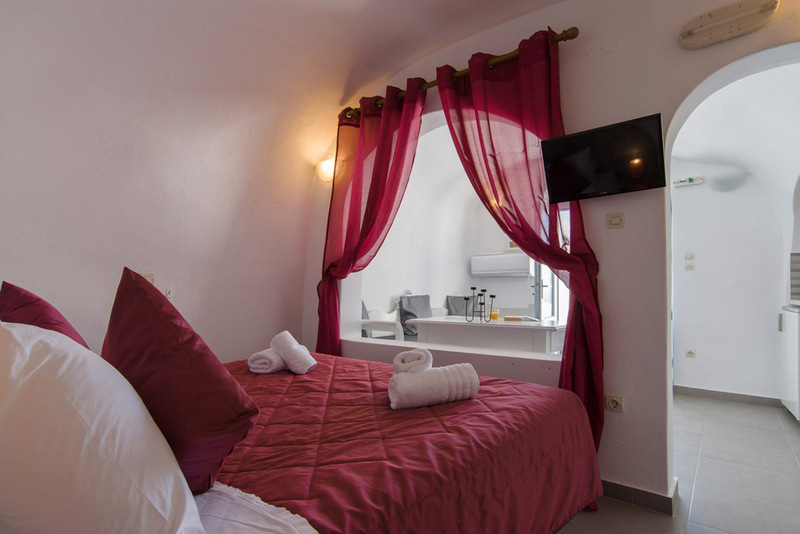 Within the relaxed and family atmosphere, Ilioperato hotel offers a 24 hour reception service, information about the island and excursions, car and moto rental, fax services, internet access and transfers to and from the port/airport. 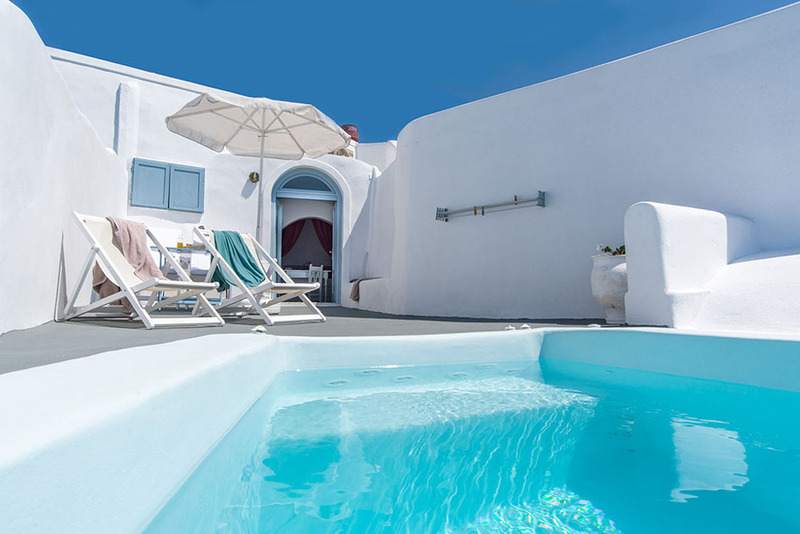 Ilioperato hotel welcomes its visitors and ensures a relaxed and family atmosphere for enjoyable and unforgettable holidays!